Air pollution harms human health and the environment. 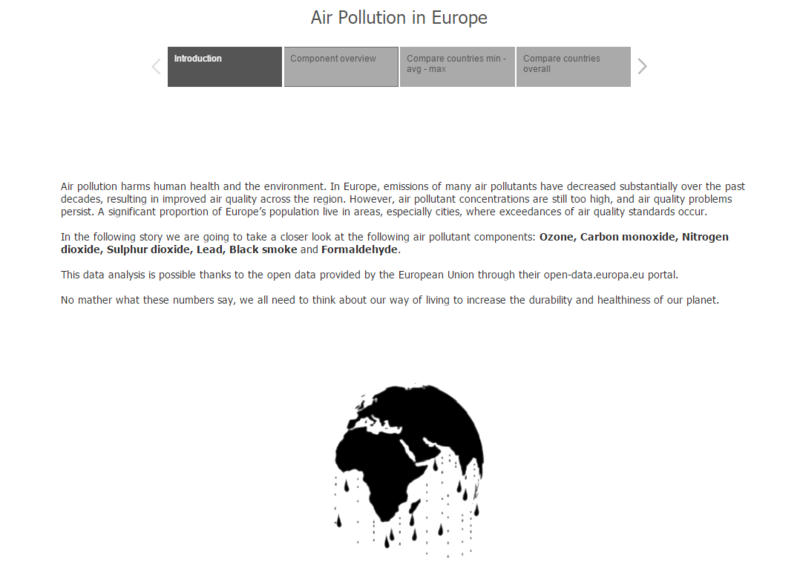 In Europe, emissions of many air pollutants have decreased substantially over the past decades, resulting in improved air quality across the region. However, air pollutant concentrations are still too high, and air quality problems persist. A significant proportion of Europe’s population live in areas, especially cities, where exceedances of air quality standards occur. This analysis became possible by using the union ability of Tableau 9.3 and the open data provided by the European Union through their open-data.europa.eu portal. No mather what these numbers say, we all need to think about our way of living to increase the durability and healthiness of our planet. Click on the image below to check out the Tableau story on Tableau Public!